For over 20 years, Jimmy Vandivier, a second generation plumber has proudly served the residential and commercial industry. He has built a reputation in the community for surpassing the expectations of his customers. He believes that his quality workmanship, integrity, and attention to detail is the reason why he has been able to build Flowrite Plumbing from referrals! 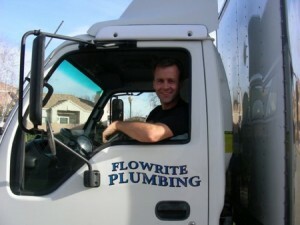 Flowrite Plumbing is family owned and operated. Jimmy and his wife Jacqie are dedicated to providing all of their customers with the highest quality of service every time! With over 20 years of experience, we are able to solve the most difficult plumbing problems. With our fully-stocked plumbing truck, we are able to serve the Northern California area. Including: The Greater Sacramento Area, The Central Valley, and Foothills. We are fully equipped to handle all residential and commercial plumbing services from remodels to drain cleaning, service, and repair. Flowrite Plumbing was established to bridge the gap between quality plumbing and even better customer service. We know you are looking for a solution to your problem, but you are also expecting to be treated with respect, honesty, and no-hassle service. Every member of our team works under a customer-first mindset. We take the time to address your questions and concerns without making you feel as if you need to buy a product or service. Instead, we want to be certain that you are comfortable with the recommended service before starting any work. This allows you to make the best decision for your property. 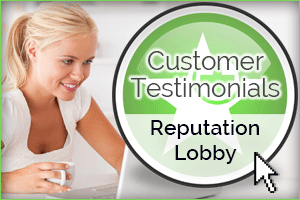 You can expect nothing short of exceptional service when you choose Flowrite Plumbing. We do our best to provide you with the most cost efficient solution for long term peace of mind. All of our work is guaranteed. If you are not satisfied with the final result, let us know and we will make it right. Contact us to learn more about our service warranties. You will always have someone on your side when you work with Flowrite Plumbing. We don’t take your safety and comfort lightly. All of our services comply with local codes and safety standards so you can feel confident about a job well done. Experience the difference with Flowrite Plumbing, where your needs are our top priority. You will never be left waiting or face additional problems after working with us. We get the job done without hassle. Call us today at 916-496-0935 so we can discuss your issue and set up an immediate appointment.